New Listing: 1583 Emerald Drive, Juniper Heights, Kamloops, BC $639,900. 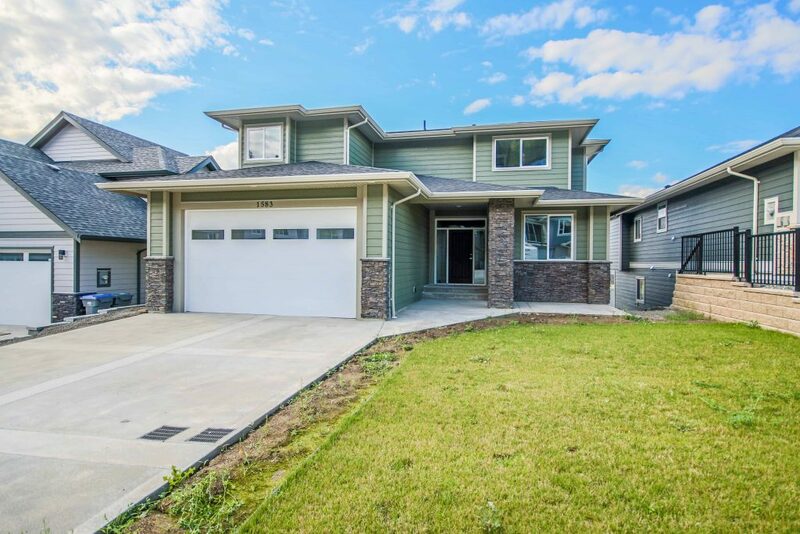 Gorgeous two storey home with tons of attention to details and many upgraded features. This home has a grand entry with wide hallway, there is a good sized office or den off the main entry. The main living space has an open great room design with large kitchen featuring quartz countertops throughout, light coloured cabinetry and large pantry. The living and dining rooms are very spacious and offer room for all your furniture. There is access to the covered deck overlooking the yard space. The second level features 3 very large bedrooms, the master bedroom featuring its own private patio and deluxe ensuite. There is second floor laundry with tons of room for all your baskets. The two spare rooms are perfect for guests or kids and have their own large bathroom. The basement is unfinished and is a full walk out basement. It has a separate entry and could accommodate an inlaw suite. Gorgeous home that can’t be missed!